Over the past few months we’ve been slowly growing our calendar of events for the latter half of 2017, so it’s time for a run-down of what we have lined up for the rest of this year. 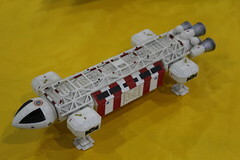 In July, we have two shows, firstly Smallspace 6 – the model show for all things space, science fiction and fantasy, which will be taking place on Sunday 16th July at Hanslope Village Hall, Buckinghamshire, MK19 7NZ. Then on the following weekend, we shall be present for the last ever Midland Model Expo, at Leasowes Sports Centre, Halesowen, B62 8PJ. 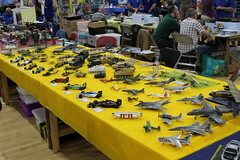 Next, we will return to the IPMS Avon Show on Sunday 13th August, the third time we’ll have displayed here. The venue for this one is Thornbury Leisure Centre, South Gloucestershire, BS35 3JB. And finally (for the time being!) 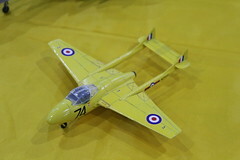 we are scheduled to be at the Sutton Coldfield Model Spectacular on 10th September at Shire Oak Academy, Walsall, WS8 7AQ. As always, we will continue to hold our monthly meetings throughout the year on top of our show commitments. We’re always open to new invitations as well – if your club is hosting a show, why not drop us a line and see if we can make it! All of our details can be found on the Contact Us page.